You’ve seen him on television, each Saturday morning on Fox 2’s “The Thread,” a show that celebrates the best of St. Louis. You’ve possibly seen him on stage at The Journey, a diverse Christian community with church campuses throughout the St. Louis area. And Tuesday you will be able to see him at Missouri Baptist University. 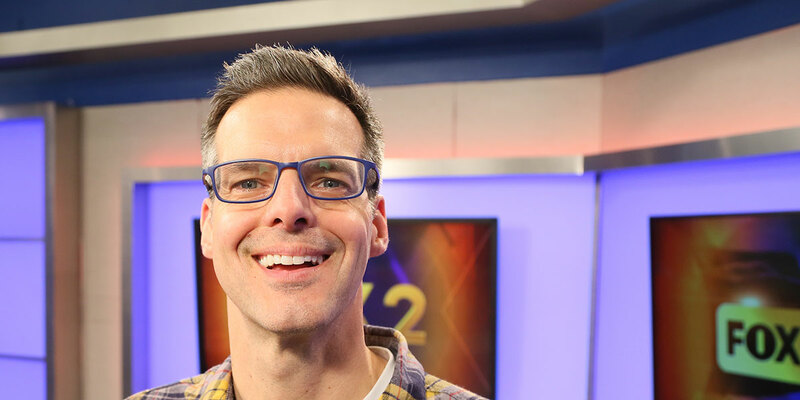 Tim Ezell, known throughout St. Louis for nearly two decades as the upbeat personality of shows on Fox 2, will open the spring 2019 MBU Media Talk series Tuesday, March 26, at MBU. The free speaker series will take place in MBU’s Pillsbury Chapel and Dale Williams Fine Arts Center from noon to 1 p.m.
After working at Fox 2 News for 16 years where he served as the comic relief on “News in the Morning,” Ezell resigned in 2014 to become a full-time pastor at the newest location of The Journey-St. Louis in South County. “The Thread,” a Fox 2 show celebrating the people of St. Louis and all that they do in the community, airs Saturday mornings at 8:30 a.m.
Dr. Amanda Staggenborg, assistant professor of public relations and instructional coordinator of undergraduate communications in the Communications Department of the Fine Arts Division, and founder/coordinator of the MBU Media Talk series, is excited about bringing her friend to MBU. For years, the talks have inspired communications students and offered a glimpse into the professional world by showcasing leaders in public relations, journalism, broadcast media and strategic communications. The addition of Ezell will highlight how to communicate within the church setting, how to communicate as a Christian outside the church, and how to bring that Christian enthusiasm to mainstream television audiences. “Tim Ezell is inspirational and as a former pastor, displays compassion and kindness in every story he tells while showing the best of St. Louis,” said Staggenborg. Each MBU Media Talk speaker is selected to represent various types of communication-related professions in St. Louis. Previous MBU Media Talk speakers include: Missouri Governor Michael L. Parson, KSDK news anchor Christina Coleman, St. Louis Post-Dispatch columnist Bill McClellan and many more.